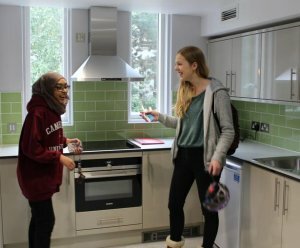 The completion of ‘A’ staircase on 16 October marks an important moment in the realisation of the College’s ambitious refurbishment project to update all its 50-year-old student accommodation. 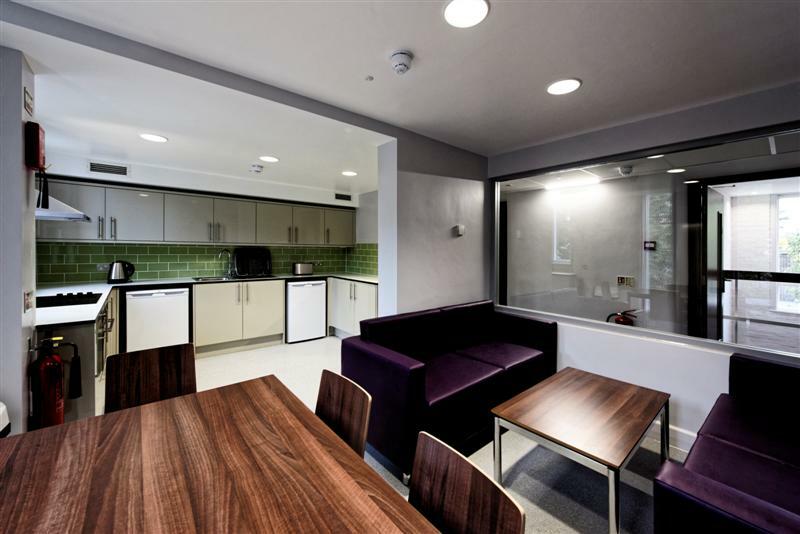 ‘A’ staircase has been transformed, and now has 20 newly-refurbished semi-ensuite study bedrooms, in three ‘flats’, on three floors, new kitchens and social spaces, a wheelchair-accessible room and a new glazed porch to minimise heat loss. 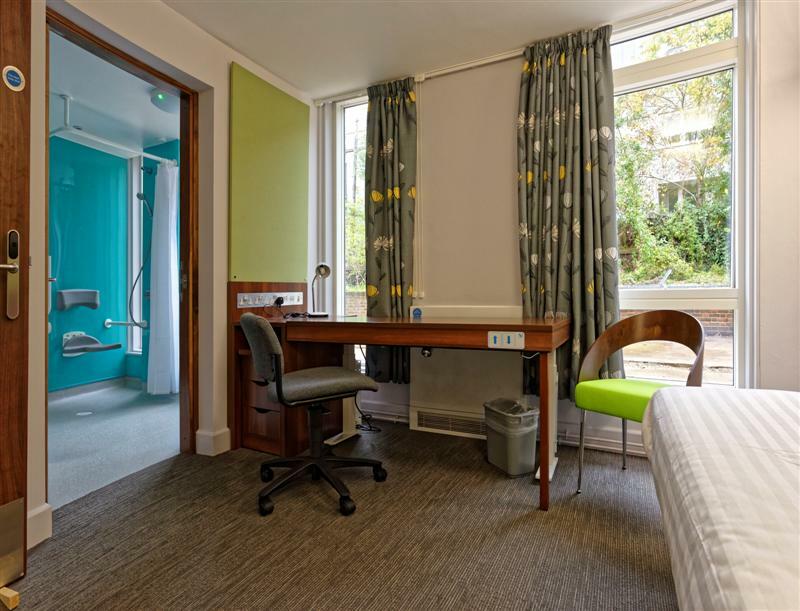 The renovation project was carefully coordinated to preserve aspects of the original College accommodation design, an early project of renowned architect Sir Denys Lasdun. 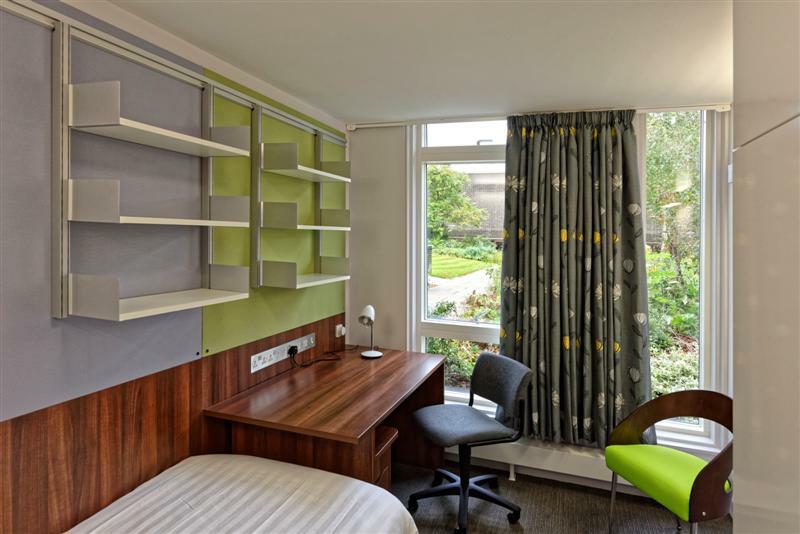 Fitzwilliam College selected Cambridge-based architects RH Partnership for the project due to their proven expertise in sensitively remodelling 1960s design in line with contemporary technical and social standards. The ambitious project was kick-started by a generous donation from alumnus Roger Graham OBE (Engineering 1958) and his wife Irene, who made a lead gift of £500,000 towards the refurbishment. In addition, the College is grateful to a number of other alumni whose donations helped make the refurbishment possible. The external work to staircases A, B and C was completed in 2014 and the plan is to start work on the interiors of B and C during the summer vacation 2016, subject to funding. 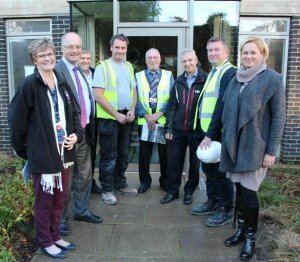 The handover, from left: Kaye Scupham (Assistant to Domestic Bursar), Andrew Powell (Bursar), Will Hagan, John Wackett (both of Quinn London Ltd), David Holton (Acting Maintenance Manager), Phil Hutchins (Roger Parker Associates), Michael Smithson (Edmond Shipway), Agnes Giangrande (Accommodation and Housekeeping Manager). The project was managed on behalf of the College by Michael Smithson of Edmond Shipway LLP. 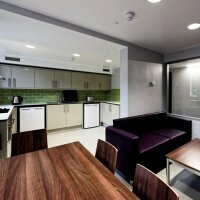 The contractors were Quinn London Ltd; Roger Parker Associates were the Environmental Services Engineers and Peter Brett Associates the Structural Engineers.